One of the best tips I ever got while working in radio journalism was to never forget the phrase “less is more.” After researching a story, interviewing an expert on the topic, editing the audio clips, and beginning to write, I felt a bit like an expert myself. That made it tough to choose which of my babies to kill. Figuratively, of course, as I worked to remove fifty percent of the excellent words I had just written, while keeping the central idea of the story. It’s not easy. Listen. It’s the first and most important part of communicating. If you don’t know what the other person is saying or thinking, how can you effectively connect with them? You can’t. Cut to the chase. You absolutely must get to the point quickly and simply, or your audience will wander away. Every story should have a beginning and an end, so just get from A to Z without wasting a bunch of time on L-M-N-O-P.
Read the room. Are the people you are speaking to yawning and checking their e-mails? Time to stop talking. Saying more words likely won’t make it better. These rules may be hard to follow, but the results will be worth the effort. I began this blog in January 2012 because it was one of the requirements for a class I was taking in social media. Like many of the other students in my class, I wondered if I could a) come up with enough content to fulfill the three-posts-a-week quota, and b) make it worth reading. Now that I approach the end of the semester, and the end of the compulsory part of the blogging assignment, I hope I have achieved both goals. It should come as no surprise to anyone reading this blog that social media has impacted virtually every method of communication and connection that humans have created. This widespread impact has happily provided me with more than a semester’s worth of things to talk about. I use the word “talk” instead of “write” because the act of blogging has seemed less like writing and more like talking: it has been a conversation, sometimes with myself, but to my happy surprise, also a conversation with others who have been kind enough to share their comments. The word “talk” is also appropriate because this blog has given me the chance to rediscover my love of producing audio podcasts. In the media relations office where I work, my days are filled with lots of interesting and challenging activities, but it has been a real treat to use the audio production skills I gained in a previous career in radio journalism and put them to use in a new way. So this is not to say goodbye, merely to say “thanks” to all of my friends and family who have stopped by this small corner of the Internet. My plan is to keep blogging, perhaps once a week, to do more audio podcasts, and to offer some fresh perspectives on what’s happening in the rapidly-changing world of communication. Can I do it? We’ll see, but as always, I remain cautiously optimistic. https://charlesprimm.files.wordpress.com/2012/04/cautiously-optimistic-deanna-sellnow.mp3Click here to listen to a podcast interview with Deanna Sellnow of the University of Kentucky. Sellnow discusses how governmental agencies are increasingly turning to social media to help communicate during a crisis. Download the file here. Of all my social media platforms, I think I use Google+ the least. Well, technically, I use my old Myspace page the least, because it has been years since I even logged in. 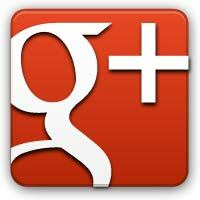 That makes Google+ the second least used of my social media platforms. So it was with a bit of skepticism that I read the news that Google+ has done a big redesign of its site. But after watching the video, and then logging in to the site, I realized there was something about the new look that was very familiar. The way the wide-format images appear at the top of the page, the way status updates are displayed, it all looks suspiciously Facebook-like. There are definitely some innovations, such as a customizable “ribbon” of moveable icons in the left-hand navigational column instead of static images or text. This is the kind of fresh design concept that Google will have to depend on if it wants to continue competing with Facebook. But if the next Google+ redesign starts looking suspiciously like my old Myspace page, that’s when I may have to call it a day. Although I have occasionally criticized Facebook in this space, for purposes of full disclosure, I hereby state that I do enjoy logging in to Facebook and looking at pictures and status updates from my friends. The “stickiness” of the site is like a siren song, calling me to scroll down further, further, just a little further, down into the bottomless well of information. As you might have guessed, this is by design: the longer we stay, the more revenue we generate for Facebook as we look at ads on the site. But just because it is good for Facebook does not mean it is good for us. As it turns out, new research shows that checking Facebook just once is enough to distract us from being productive while we are trying to work. This recent story in Psychology Today discusses a study of how people were able to maintain their focus in the midst of electronic distractions such as the Internet and smartphones. It turns out that checking Facebook was a major momentum-killer for those trying to focus on a task and be productive. It did not matter if they checked Facebook once or a dozen times: the damage was done and concentration was lost. I think I already knew this, but the best science often tells us what we already know. Now comes the hard part: actually refraining from checking Facebook when I am under tight deadline pressure. I’ll let you all know how that turns out. The snap-judgment implication was that, by purchasing this small, cool company, Facebook was about to ruin it forever, prompting those “in the know” to head for the door. But the larger implication was that Facebook was so obviously uncool that one could be tainted just by association with it. What a fascinating change. 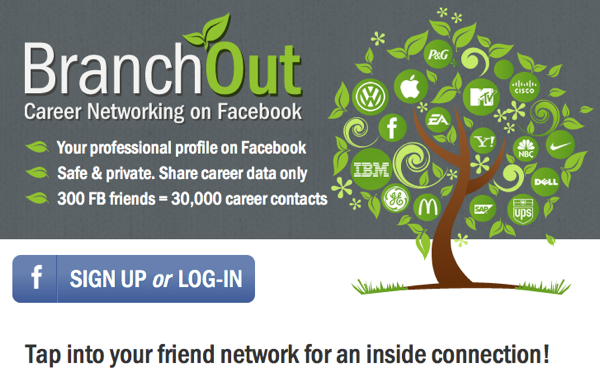 Just a few years ago, Facebook was the cool thing, the new thing, the David to Myspace’s Goliath: the one you rooted for. Students at universities in the US could not wait until their campuses were allowed to participate. Where did it all go wrong? Was it all the times Facebook got in trouble for changing its users’ privacy settings? Or was it FarmVille? We may never know, but to me, it’s clear: the thrill is gone. Oh, the site will be with us for a long time yet to come. But if cynicism about Facebook’s motives runs this deep, the company has more of a public perception problem than it may realize. And even the best Instagram filter can’t change that.